GitHub - lah7/sims-2-wine-patches: Collection of patches to get The Sims 2 working under the Wine Compatibility Layer. Collection of patches to get The Sims 2 working under the Wine Compatibility Layer. Want to be notified of new releases in lah7/sims-2-wine-patches? lah7 README: Update @mention and link. This repository contains a collection of patches to get The Sims 2 working under the Wine Compatibility Layer. 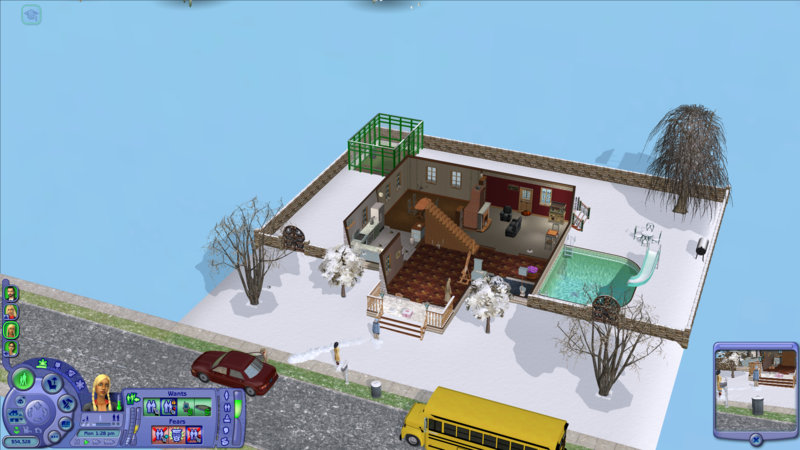 The Sims 2 is a classic, but is designed to run on Windows. It has been historically ported to Mac as The Sims™ 2: Super Collection but is limited to 6 expansions, 3 stuff packs and hasn't seen any updates in 3+ years. There are some technical limitations that prevents The Sims 2 from working in Wine, the most obvious one being Direct3D returned an error: D3DERR_INVALIDCALL!. It's one of the reasons why the game remains Garbage on AppDB. Also voted #6! Fear not, as some bug busters have patched the source to investigate the missing Direct3D features. For players, The Sims 2 starts and is playable with the odd glitch! For developers, there's some interesting things to uncover. This repository will maintain the latest copy of Wine with these patches for you to test, debug or play. See the Releases page for the compiled binaries, which can be downloaded and used as-is, or added to front-ends such as PlayOnLinux or PlayOnMac. The binaries are currently compiled without 64-bit support (SysWOW64), meaning they require a 32-bit Wine prefix. mac-x86 macOS 10.14.2 amd64 32-bit macOS 10.15 will deprecate 32-bit support. macOS builds are considered experimental. 160 Robert Walker Updated to Wine 3.5. 161 Alexandr Oleynikov Updated to Wine 3.7 with staging patches. 164 Paul Gofman Updated to Wine 3.18, works with newer drivers. See bug report 8051 on Wine's bug tracker for development discussions. The Sims 2 requests 1024 vertex shader constants, but Wine has a hardcoded limit of 256. Direct3D 9 normally supports up to 8192, using hardware shaders first (where available), followed by software emulation. Software emulation is currently not supported in Wine. The game expects at least 1024. Shader Model 2 and Shader Model 3 reveal differences, particularly in the original release (no patches, no expansions). Newer expansion packs use an improved rendering engine with fewer differences between SM2 and SM3. This is not necessary when using newer versions of the game and expansion packs. Results may differ on different graphic cards and drivers. Note: Previous Wine patches/binaries mentioned in bug reports and this repository forced Shader Model 2 in the source code, but this is no longer the case. If you have the Seasons expansion pack, you may experience blue snow outside the lot, you can workaround this by forcing Shader Model 2 via the registry. The 'red eagle' pose appears on the neighbourhood screen and during loading screens. The only exception is when a new default neighbourhood is loaded for the first time in which the thumbnails were already pre-rendered. This can be fixed by installing a modified no-censor mod by @tannisroot. This disables the anti-censoring functionality which happens to fix the thumbnails when saving. You can download thumbnails_fix.package from this archive. A Sims' skin colour may not match between their head and body. Icons above a Sim's head (like the one when you get a new friend) can appear glitchy. Changing resolution while in a household can sometimes result in a black screen. Alternately, you may set the Wine prefix to run inside a virtual desktop. This also happens under the NVIDIA driver on Windows. This previously did not happen with earlier versions of the NVIDIA driver (around 396.x and before) and the original Wine patches. This can be fixed by installing the Sim Shadow Fix (v0.4) mod. As the patches expose a lot of FIXMEs in Wine. This can fill up to many hundreds of MBs, causing potential slowdown. If there are any technical explainations, feel free to create a pull request or issue. Please do not submit test reports to AppDB when using patched copies of Wine as the test results do not reflect "vanilla" Wine. There are some engine differences/improvements between the original release, later expansion packs and the Origin version. Note that some rendering cheat codes require you to re-enter the household to take effect. If you've installed The Sims 2 via Lutris, these mods are already included. Wine can be built on GNU/Linux and macOS. Clone this repository to acquire the patches. To speed up compiling, change -j4 to the number of processor cores you have. If running via make only, you can use the wine script to run the build. Lutris - GitHub Wiki - covers Origin version. Wine is distributed under the GNU Lesser General Public License 2.1.